This postcard was sent to Geography Cat by Annie from Droitwich. 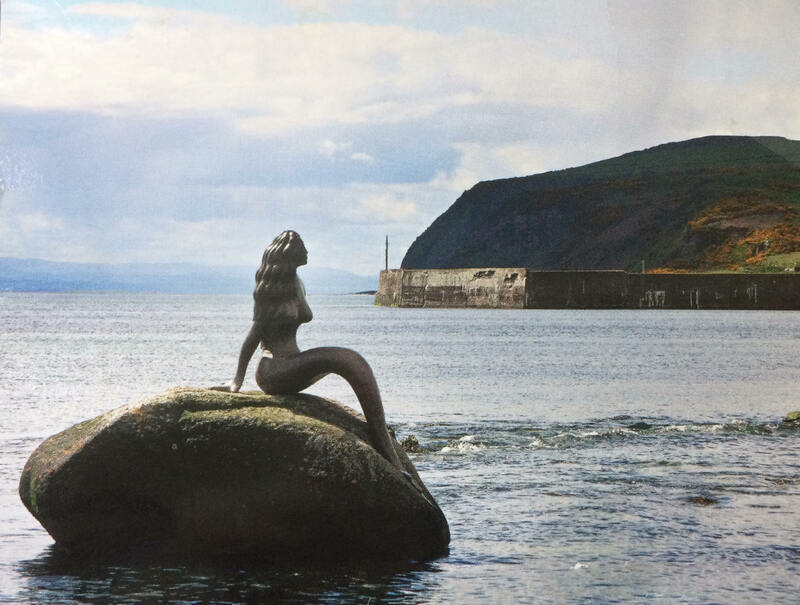 It shows a bronze statue called the Mermaid of the North, sitting on top of a large rock named Clach Dubh (which is Gaelic for Black Rock). She is one of several sculptures that form the Seaboard Sculpture Trail at Balintore on the north east coast of Scotland. You can find out more about the sculptures here, and more about the fascinating social history of the Seaboard Villages here. Thank you for sending this in Annie.